(CTV Montreal) — The MUHC has been given a $2 million grant to help fight a rare kidney disease. Cystinosis causes cysteine, an amino acid, to accumulate in different organs. Crystals build up and can eventually lead to organ failure. The disease is usually diagnosed in children under the age of two, and could lead to end stage kidney failure at around age nine. 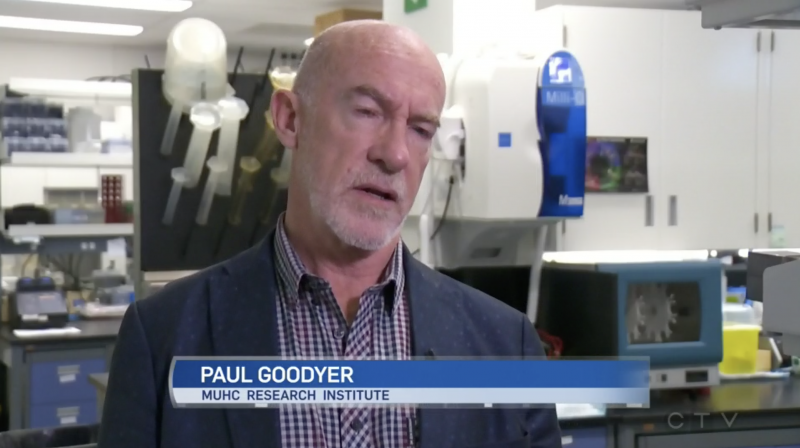 Montreal researchers have developed a drug that they believe may cure the disease. The funds were given by Genome Quebec and Genome Canada. “We’re not really at the final formulation of this medication,” said Paul Goodyer of the MUHC [and Clinique Medic Elle].